In the fall of 2002, Liberty Fund published noted historian Bernhard Knollenberg’s Origin of the American Revolution. Now Liberty Fund proudly announces the publication of the second volume of Knollenberg’s masterwork on the American Revolution. 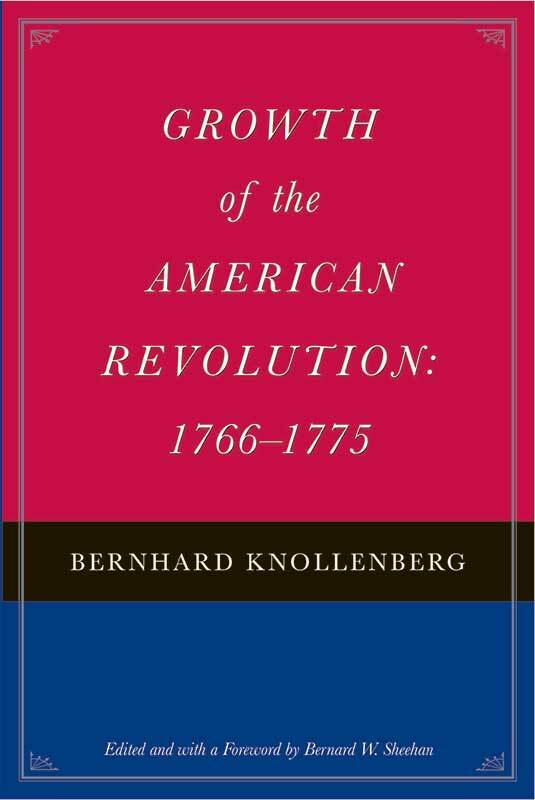 Continuing the work Knollenberg began in the first book, Growth of the American Revolution covers the period from the repeal of the Stamp Act in 1766 to the outbreak of hostilities at Lexington and Concord in 1775. Taken together, these volumes present a cogent and authoritative history from an objective and scholarly point of view. Foreword, chronology, introduction, appendixes, bibliography, index.